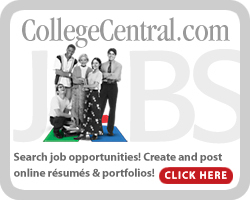 The Career & Workforce Development Center wants to be your recruiting source. We can help you fill part and full-time and internship positions with ELAC students and alumni. We offer the flexibility to post job or internship opportunities our database FREE of charge. Our job database is accessed by over 35,000 ELAC students and alumni. Potential employers can post job, internship, volunteer opportunities at East Los Angeles College through our new Job Database System. To get started, create an employer account through link below. Once job posting have been submitted, it will take a week for approval before viewing. If you have any questions, contact Career & Workforce Development Center by email @ elac_careeremployer@elac.edu or call (323) 415-4126. East Los Angeles College annual Careers, Jobs, and Internship Fairs are designed to connect students and alumni with employers who have part-time, full-time, and internship opportunities. Our fairs give employers the opportunity to provide company information, gather resumes, recruit from our diverse student population, and network. For more information regarding our Career Fairs, please call 323-415-4126 or via email at elac_careeremployer@elac.edu. Employers interested in on campus recruitment, for jobs or internships, contact Career & Workforce Development Center 2 weeks in advance. We will provide 1 table and 2 chairs at your scheduled time. On-Campus Recruitment is unavailable for the summer session. Contact our office for further detail 323-415-4126. Fox Sports West, Headspace and Hulu! Schedule an appointment today to get your resume reviewed.